There are upstanding businesses such as Silver Oak and our exciting free online baccarat opportunities, and then there are businesses that do not run such a tight ship. 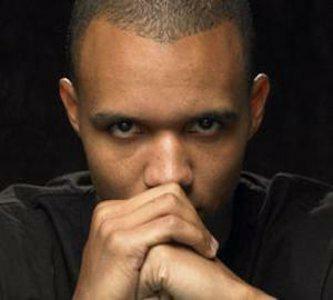 Let’s take a look at a story involving Phil Ivey, and how he managed to fool a prestigious UK casino for almost £8m. Ivey is someone who has been swimming in the world of sharks for most of his formative and adult years. So, along with a keen eye for all things cards, along the way the young or old Phillip is bound to start picking up some connections in increasingly esoteric caverns in the ocean of the gambling industry. Who knows, maybe Ivey had the inside scoop because of a friend made long ago in some backroom poker game. Maybe he just spotted it on his own. However it was he came to know, he acted. The Mayfair casino Crockfords in England made a fatal error wherein a particular deck of cards was used for their baccarat games that had a flaw on backings—the pattern was slightly distorted. The distortion was caused by a mistake made during the cutting process at the overseas manufacturing plant, and it would be imperceptible to the average person, but Ivey is no average gambler. So for Ivey, the scheme was fairly simple: look out for the malformed pattern on nines and eights, and possibly sevens and sixes. He was accompanied by a known card counter who has been banned from other casinos. She would ask the cards in question to be rotated slightly because of Ivey’s “superstition” so as to get a better view of the distortions. Then the two would sit back, relax, and bet big. The pair would get up from the table with £7.8m in earnings, but would only be paid out one million. Let the court battle begin. Cheating the House? Or Keeping them Honest? Question: is this an instance of card counting, or is this something else? Let’s look at a hypothetical: a casino makes a mistake and uses a deck that happens to have an extra face card. The players that are involved in the game unwittingly win more because of this. Is it the fault of the players that they won more in this instance? Should they be penalized for actively betting when the card came up? Maybe instead of an extra ace, one of the aces has a small stain on the back of the card caused by an errant drink splash? Surely you are going to bet appropriately until the dealer or pit boss notices. When you look at this situation carefully, it does not seem like card counting at all. Ivey’s tactics have nothing to do with mathematics; it has to do simply paying attention to the fact that the casino has made a mistake. The casino, not Ivey. Fundamentally, everyone is trying to win all the time. Some players are very good at it, and if you want to let them into your casinos and handle the large amounts of money that they invariably bring, you must also be able to handle the extreme cunning they have for the game. In a certain sense, dealing with the big name gamblers is a gamble on the part of the casino. These people are famous for a reason: they make their own luck. Fancy Yourself a Card Reader? Want to try your hand at “reading” the back of cards like Phil Ivey? Check out our free online baccarat. We have designed the game so that if you turn your computer monitor sideways, there is a slight pattern on the nines and eights. Actually, we’re totally kidding. Don’t actually try this. But totally try out our free online baccarat. Simon is an overactive gambler and the Staff Writer here at Silver Oak. He loves casino bonuses, online slots, and using the em dash too often. Currently, he rests his typing hands in Vancouver, Canada. Will we ever see a full fledged casino on the Apple Watch? What’s the deal with house edge, probability, and odds?